University Leadership Network has raised $ 565 from 9 gifts! The University Leadership Network (ULN) at The University of Texas at Austin is a nationally recognized program that helps students develop into leaders, succeed academically at UT Austin, and graduate in four years. ULN has been featured both on PBS NewsHour and in New York Times Magazine for its innovative approach. ULN is an incentive-based scholarship program designed to remove financial barriers for students from under-resourced backgrounds. Many ULN students are the first in their family to attend college. ULN students follow a comprehensive four-year plan that includes leadership and professional development training, internships and experiential learning, and participation in innovative academic success programs that include strategic advising for timely graduation and personalized interventions for struggling students. ULN students earn $5,000 annually (up to $20,000 over four years) in scholarships when they meet program milestones, which include completing 30 hours of coursework each year (25% of the hours needed to earn a degree in four years). These scholarships are critical to help students attend UT Austin and graduate in four years. While ULN students also qualify for Federal Pell Grants and Texas Grants to cover tuition and fees, it is usually not enough to cover all their living expenses. On average, they may have $8,000 remaining in unmet need. 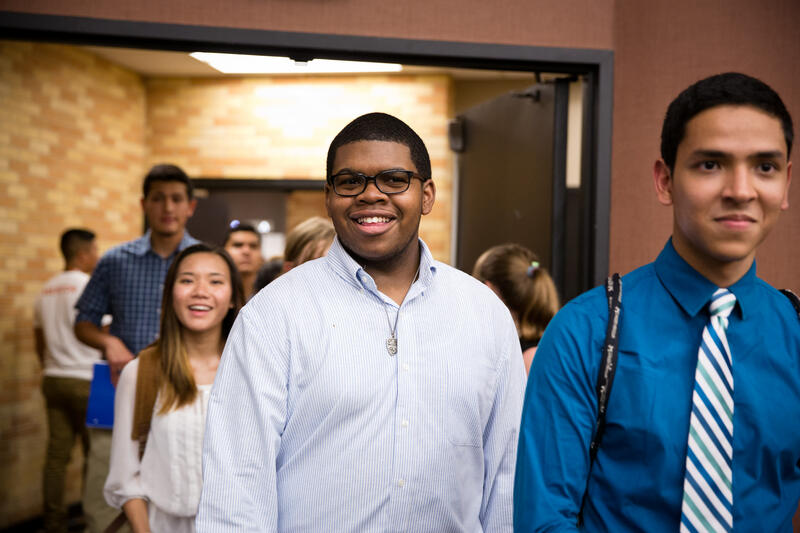 ULN scholarships provide students with critical funding so they do not need to work off campus during the school year and can participate fully in the Longhorn experience — with less stress and worry.